Shy and introverted, 23-year old Elizabeth spends her days toiling away at a museum while living with her aunt, who cares for her with her own inheritance. Sickly and a chronic sufferer of headaches and back pains, Elizabeth’s aunt finally takes her to a doctor, who refers her to a psychiatrist for her “nervous” condition. What at first appears to be a simple and fixable condition turns into a story so complex that only Shirley Jackson could have written it. Turns out, Elizabeth is not suffering from a nervous condition, but rather from multiple personalities. Four of them, to be exact, with each worse than the other. As Elizabeth’s doctor slowly reaches into the depths of her psyche, the reader is taken on a haunting journey through each personality’s self-destructive actions, struggles for dominance, and fear of being misunderstood. 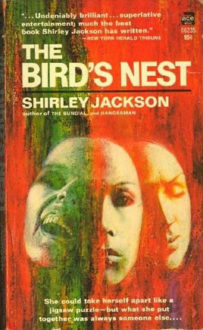 The Bird’s Nest, which is best described as a psychological horror story, has all of the classic Shirley Jackson hallmarks, including family mysteries and twisted rivalries. 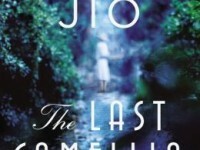 Fans of her work will not be disappointed.